The Gables Wine Country Inn is a circa 1877 Victorian mansion situated, away from the crowds, on just south of Santa Rosa city center. The Inn, a striking example of High Victorian Gothic Revival architecture, sits on three lush green acres with magnificent vineyard and valley views. The Inn, featured on the National Register of Historic Places, has three Italian marble fireplaces, a spectacular mahogany spiral staircase, and soaring twelve foot ceilings. Fifteen gables crown the unique keyhole shaped windows of her exterior. In a world where we seldom have time for breakfast . . . you are in for a treat, because breakfast at The Gables Wine Country Inn is a culinary experience. When you awaken you will find that fog now bathes the hills and vineyards, so grab a cup of fresh brewed Community Coffee® and take a stroll through our lavender garden. At 9:00 sit down to breakfast where you will meet other fascinating guests from all over the globe. Your 3 course meal begins with a fresh bread item, a fruit course and finally one of our signature breakfast entrées, like our Breakfast BLT, a Cloud Soufflé or Banana Pancakes with Pecan-Honey Syrup. After breakfast, sit down with your innkeeper to help plan your day, whether it is hiking the redwood forest, spotting sea lions at the beach or sampling wines from some of Sonoma County’s over 200 exceptional wineries. 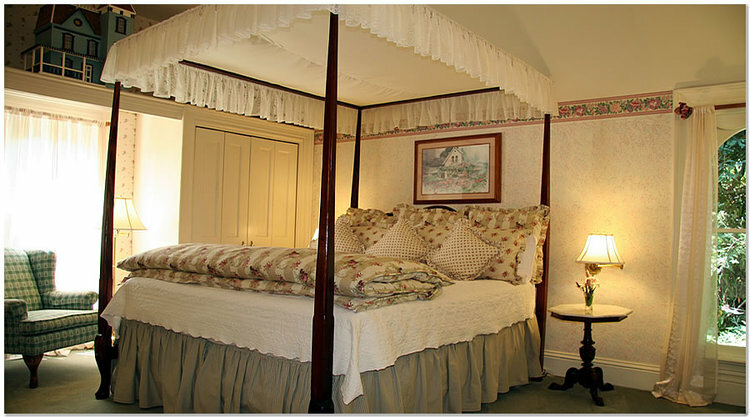 Each of the seven spacious guestrooms (five with king size beds) has been furnished and decorated to reflect the historical detail found in only the most elegant Victorian mansions. Separate from the main house is William & Mary’s Cottage. This cozy little hideaway offers romantic privacy with an extra large whirlpool bathtub, loft queen bed, kitchenette, and wood burning fireplace. Santa Rosa’s Gables Inn is 4 miles north of the fabulous Weill Hall at the Green Music Center, one of the world’s finest symphonic music venues, 20 miles from the Armstrong Woods giant redwood forest and the Sonoma Coast and 10 miles from the Russian River. The Gables is centrally located in Sonoma County. Best B&B in Wine Country. Great hosts, beautiful property and DELICIOUS breakfast! Welcome to the heart of Sonoma. 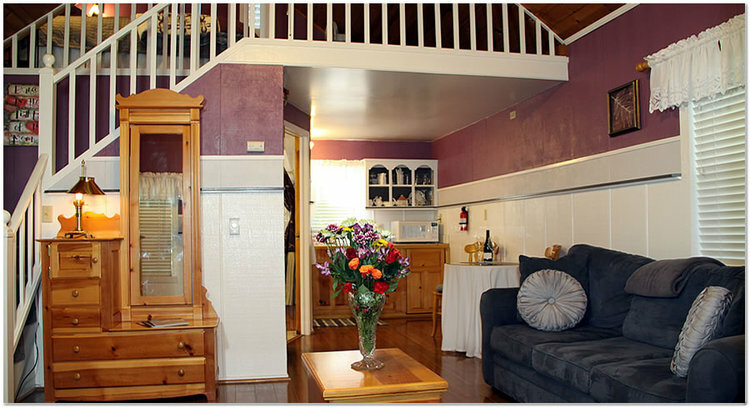 Nestled in the picturesque foothills of Northern California’s esteemed wine country.